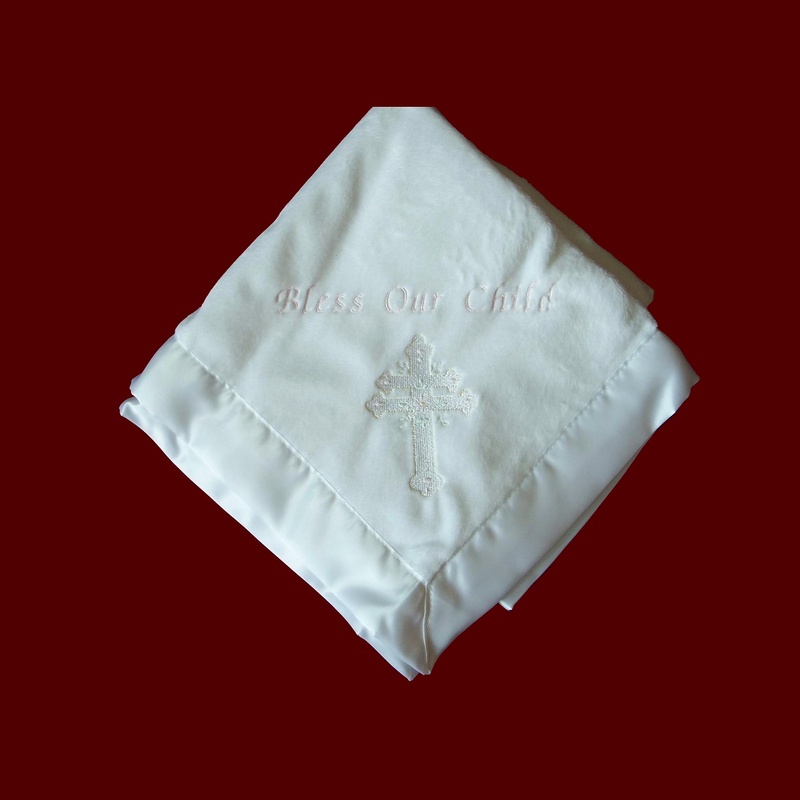 Beautiful embroidered white or ivory minky christening blanket trimmed with satin ruffle for girls and satin binding for boys is sure to become a family treasure! 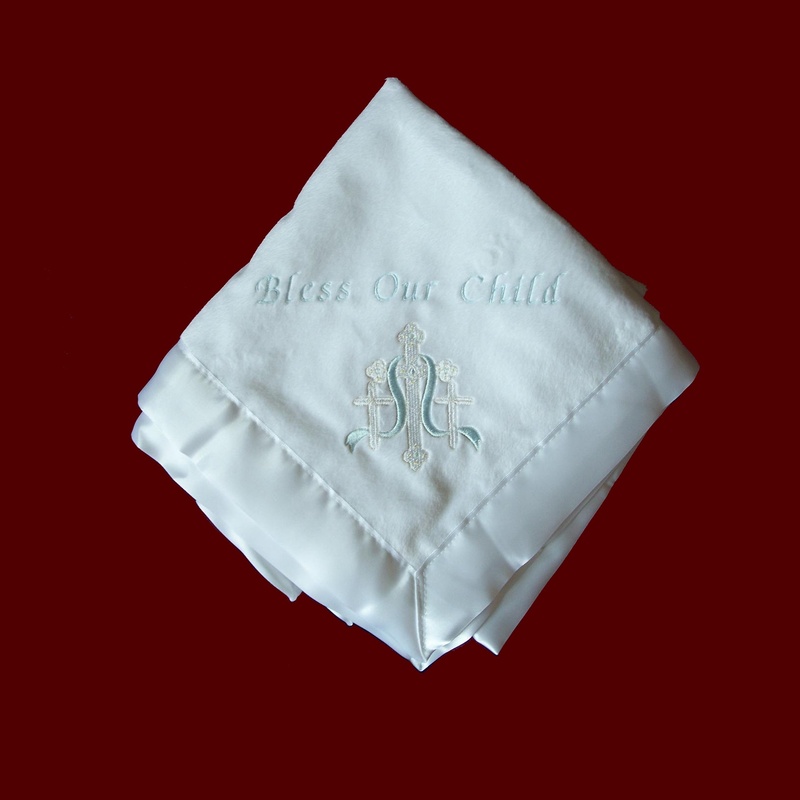 Your choice of sayings embroidered above the cross including Precious Child of God, Our Little Miracle, Bless This Child (Shown), Bless Our Child, My Godparents Love Me, Precious Gift from God or your own special sentiment (Specify under special requests). Approximate finished size 30" x 40". 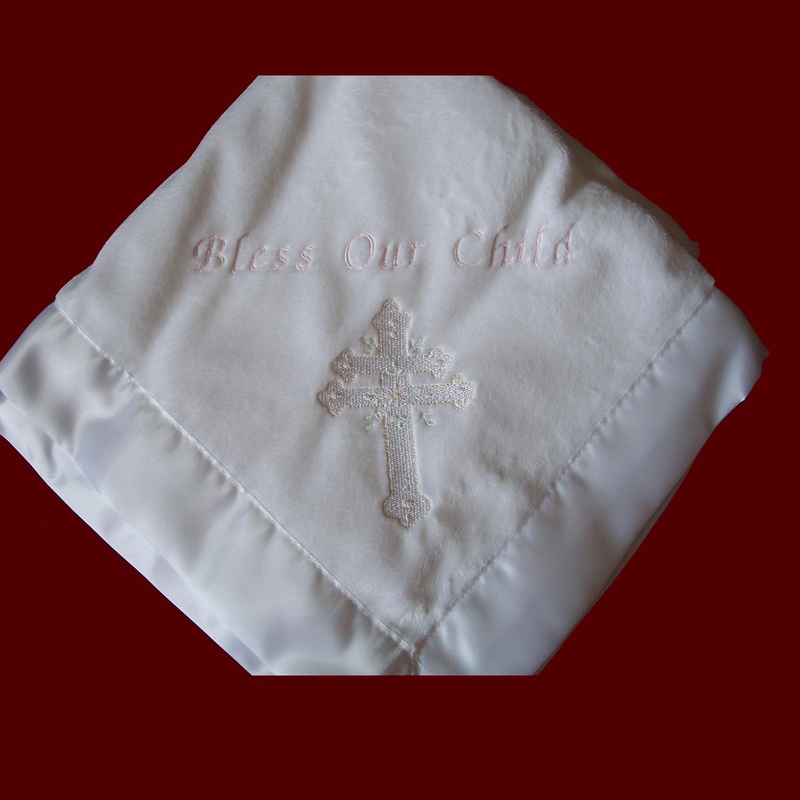 **New embroidered cross designs now available. Irish accents may be added to all items on this website. 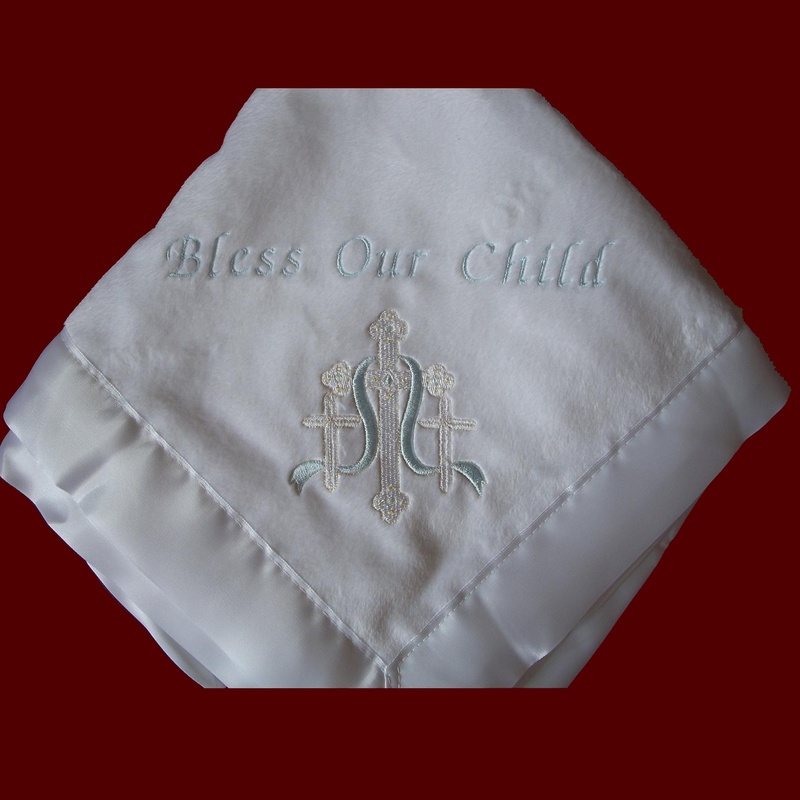 Blanket can be personalized with name/date in your choice of font styles & thread colors.